Jenna Smith, 10, has never had a sleepover. Her mother, Kim Dasilva, has a strict rule: Jenna’s friends must sleep over their house, or no sleepovers at all. Dasilva’s worry stems from the fact that Jenna is coping with an autoimmune disease. Jenna’s had Type 1 diabetes since she was six, and Dasilva fears what would happen if Jenna had a blood sugar crash with no one experienced enough around to help her. For Dasilva, part of this fear stems from frequently hearing ignorant statements when it comes to Type 1. No after-school daycare would take Jenna or her twin sister Deanna because of Jenna’s diabetes, so Dasilva had to slash her work hours. The one nurse she found that was qualified to care for diabetics would constantly offer Jenna rice, a carb-heavy food. 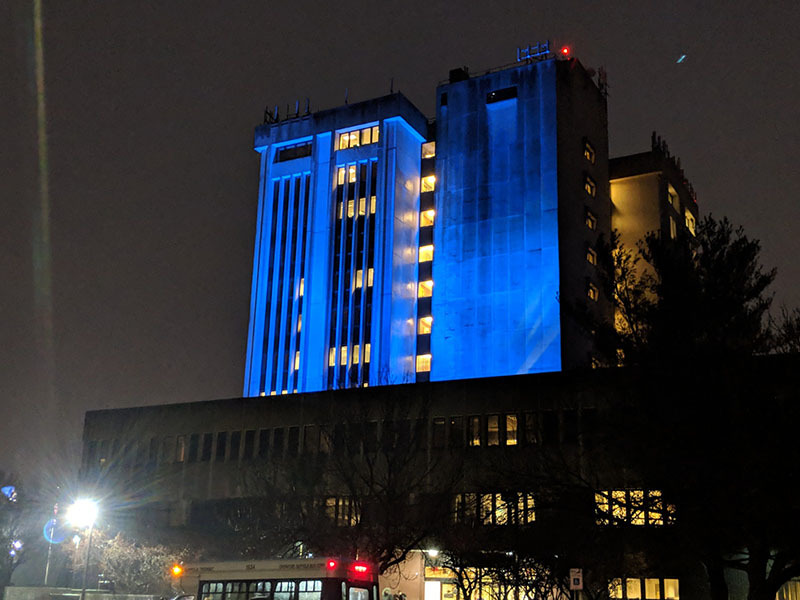 To recognize November, National Diabetes Awareness Month, and to bring attention to the disease, JDRF — the largest nonprofit fundraiser for Type 1 diabetes research worldwide — lit up the H. Lee Dennison building in Hauppauge blue, the color that represents Type 1, on Nov. 26. Most of the families that attended had similar stories to Dasilva’s, who also attended with Jenna and Deanna. Unlike the 2014 ALS ice bucket challenge, this event isn’t just to raise awareness that the disease exists. Instead, diabetes awareness campaigns take aim at misconceptions about the condition. Despite diabetes being known to humans for centuries, Type 1 diabetics have to battle frequent misconceptions and assumptions along with their daily symptoms. “It’s a 24/7, 365 day, no holiday disease, and so many people don’t understand it,” said Robert Parant, a research information volunteer at the Long Island/NYC chapter of JDRF. He was diagnosed with Type 1 in college 46 years ago. He lost his leg about ten years ago due to diabetes-related complications. Type 1 diabetes is a disease characterized by the immune system mistakenly attacking the pancreas, the organ responsible for making insulin, which converts sugar and starches into energy. People with diabetes must carefully monitor everything they eat to manually control the amount of sugar in their blood. It’s a lot of work, doing the job of a malfunctioning organ most people don’t stop to think about. Type 1 diabetes is a constant balancing act between blood sugar and insulin, one diabetics must take into their own hands. JDRF gave Dasilva a sense of community when Jenna was diagnosed. Other families could give them perspective that doctors can’t. There is no way to predict who develops Type 1, and no way to prevent or cure it. Type 2 diabetes, on the other hand, is an insulin resistance formed by a diet too high in sugar and lack of exercise. Type 1 makes up just 5 percent of diabetics. Many of the families who attended the event have heard comments similar to what Dasilva has. Katerina Miller, an 11-year-old Type 1 diabetic and JDRF youth ambassador, hears her classmates misconstrue the condition constantly. “Kids in school are like, ‘So you can’t eat my birthday cupcakes that I bring in?’” she said. To manage diabetes, patients must first be aware of the level of sugar in their blood. A healthy range is about 80 to 120 milligrams of sugar per deciliter of blood, and even that can fluctuate wildly between meals, exercise and simple differences in metabolism. Getting the numbers just right on a regular basis is a difficult balancing act; JDRF estimates that less than one-third of Americans with Type 1 are achieving the target healthy range of blood sugar. Consistent too high or too low blood sugar can lead to fatigue, weight loss, heart disease and stroke. The majority of diabetics inject the necessary insulin via syringe or insulin pen under the skin. More modern pumps can be implanted on the lower body to slowly drip insulin when programmed, reducing or eliminating the need for needles. Many diabetics don’t choose pumps because they don’t want to be inconvenienced or embarrassed by a device constantly attached to their body, Paffmann said. Other attendees to the lighting event were Helen Rotos and her daughter Zaphiria, who is a JDRF youth ambassador. Zaphiria has Type 1, and helps staff events for the nonprofit to raise money. Her team at the JDRF One Walk at Hekscher State Park, Team Z, raised $2,475, and of that she herself raised $1,900. When Zaphiria gets older, she wants to help search for a cure. “I maybe want to help research, like the stem cells,” she said. A major upgrade in diabetes technology is the “artificial pancreas,” a system that automatically measures and distributes the correct amount of insulin depending on blood sugar, with no need for the patient to intervene. One such model, the Medtronic MiniMed 670G, was developed in 2016, but a $7,000-plus price tag keeps it out of reach of many diabetics without insurance. It requires two to four finger pricks a day to calibrate it, and also only regulates basal insulin, the doses administered between meals. Bolus insulin, doses during meals, must still be manually administered. Insulin is getting harder and harder to get. Prices have jumped 300 percent in the past few decades; no strain of insulin is less than $100 for a 100cc bottle. Most pumps and glucose monitors are upwards of $6,000 without insurance. While the cause of Type 1 is unknown, the scientific community agrees that genetics, environmental factors or past viral infections can make the disease manifest. 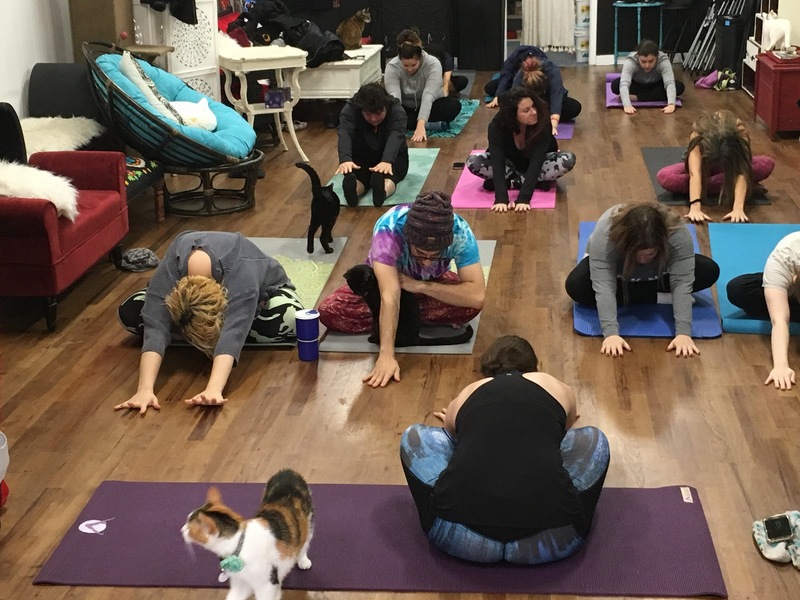 To gather funds to supply researchers, JDRF organizes events to raise awareness and money, and petitions lawmakers to make insulin less expensive. “JDRF’s mission is to create a world without Type 1 diabetes, and we can’t do that without our donors,” Paffmann said. Until that day, or until she can trust that another adult can take care of Jenna, Dasilva said sleepovers are still out of the question.